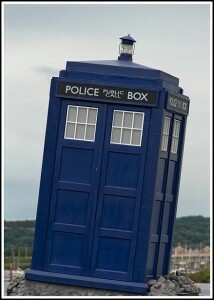 If you know where to look, you’ll find that the UK is absolutely full to bursting with hidden gems. One of these is the Gower Peninsula in South Wales, which has all the beautiful scenery, activities and attractions you could ask for in a Wales holiday but which is often overlooked. 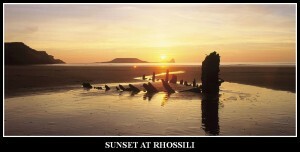 Rhossili Bay in Gower was voted the No 1 Best Beach in Britain, as well as being 3rd in Europe and 10th in the world. This breath-taking beach – from which you can see for miles, all the way to North Devon – scooped the accolade in the TripAdvisor Traveller’s Choice Awards 2013, which is voted for by people who’ve actually been on family holidays in Wales. 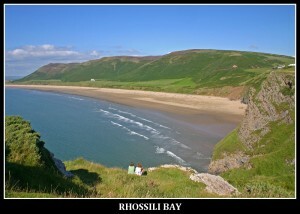 Incidentally, Rhossili Bay was also named the UK’s No. 1 dog-friendly beach by the Times and the coastal cliff overlooking it as Britain’s Best Picnic Spot by the British Guild of Travel Writers. The Gower Peninsula was given the prestigious title back in 1956 before any other area, due to its miles of coastline, stunning beaches, sandy bays and fascinating cave formations. Views from high points in the peninsula are truly amazing, which is what makes the area such a great location for memorable holidays in Wales. Worm’s Head at Rhossili, which is the westernmost point of the peninsula, is not only a landmark feature and hugely popular Wales holidays tourist attraction but it’s also a mile-long stretch believed to be one of the most breath-taking and most photographed sunsets in the whole world. 4. The world’s very first and oldest human remains were found in its limestone caves – along with a mammoth tusk! The Gower Peninsula is not only a very scenic spot for family holidays in Wales, but it also has great historic importance. In 1823, the first ever human remains were found in Goat’s Hill Cave near Port Eynon. Called the Red Lady of Paviland (who later turned out to be a man, rather spoiling the local legend), the skeleton was believed to be over 33,000 years old, which is still the oldest burial of its kind in Western Europe. Beautiful destinations and travel information for single parents including packing tips and how to save money on holidays.